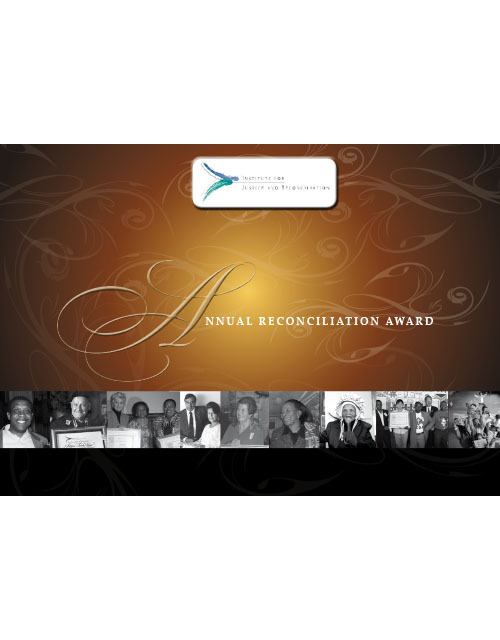 The Institute gives an annual Reconciliation Award to an individual, community or organisation in South Africa that has contributed, in one way or another, towards reconciliation. 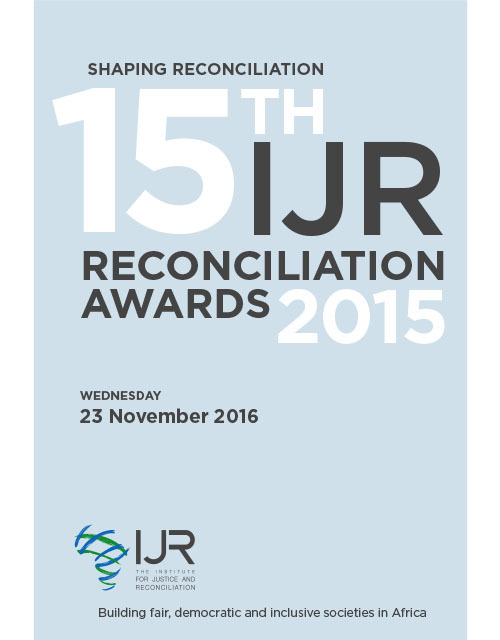 Through this award the Institute would like to acknowledge and showcase the recipients’ approaches and strategies to enable reconciliation, whether they originate in the spheres of politics, media, business, culture, and academia or community service. 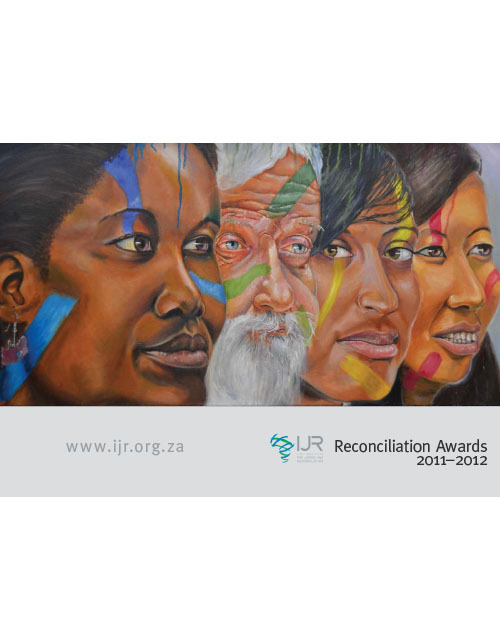 The person/organisation nominations have to be based on the theme outlined in the call-out. The nominator needs to clearly state how the nominee links to the theme of the call-out. 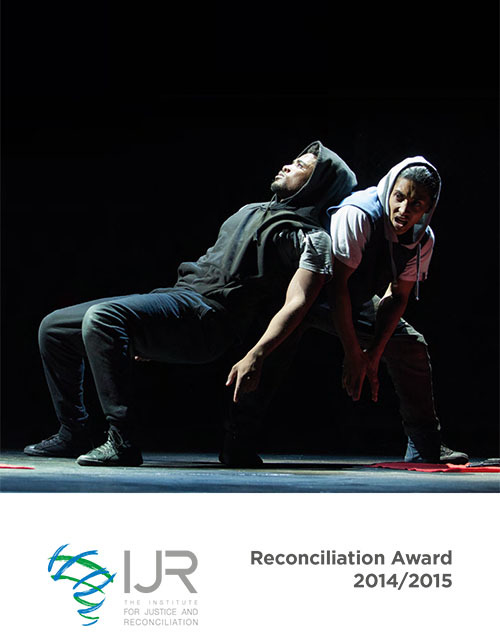 The achievements or work of the nominee has to be exceptional, and must have made a major contribution to reconciliation in the context where s/he is active. Exceptional means that it goes beyond the call of the personâ€™s/organisationâ€™s duty. The nominee should provide a living testimony to the values of democracy, inclusivity and non-violence, in public and private life. 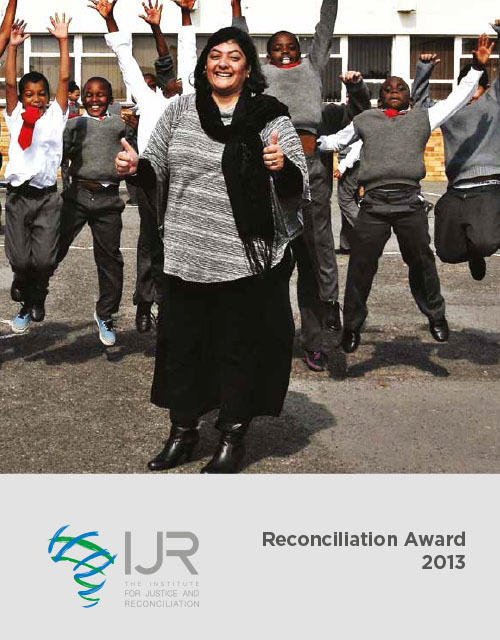 The nominee has to be based in South Africa and the reconciliation work has to relate to achievements in South Africa. 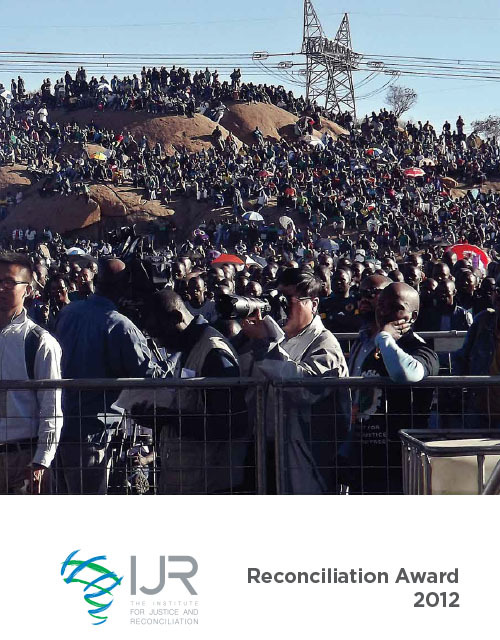 The person or organisation cannot nominate him/her/themselves. 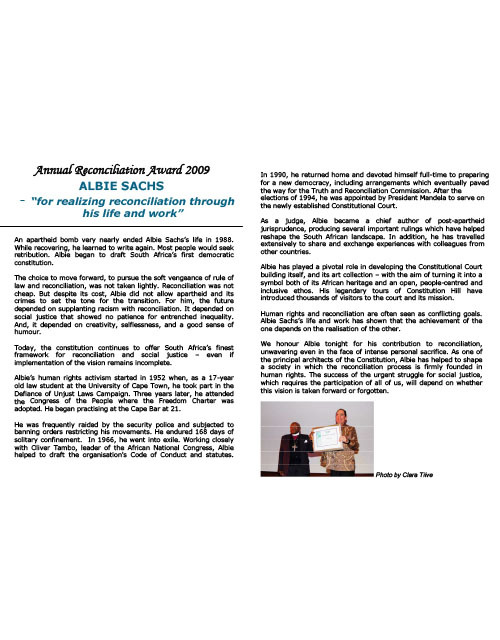 No Board members or staff of the organisation can nominate its own organisation. A completed motivation and application form needs to be submitted by the closing date.